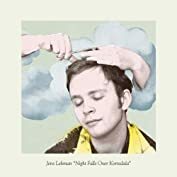 A few years ago, KEXP introduced me to the music of Jens Lekman, a Swedish-born singer-songwriter. I was immediately taken with his blend of indie pop, with a sound reminiscent of a less-snooty Sufjan Stevens, or perhaps a peppier Stephin Merritt or the Smiths. I picked up his second album, the excellent Night Falls Over Kortedala. Recently, I put his album into heavy rotation again, for no single defining reason. I was particularly drawn to “Shirin”, a song in which Jens falls for his Persian hairdresser: the song’s namesake, Shirin. The song is charming (but not mawkishly so) and is impeccably arranged, with Beach Boys-esque “ooos” and “aaahs” rounding out an ample, wordless vocal tag. In short, “Shirin” alone is deserving of its own blog post, but wait, there’s more. Last week, while walking home from work, I saw a generic-looking business card in the street gutter. Now, 99.9% of the time, I don’t just go picking up random pieces of garbage off the street, but for some reason this business card (lying face-down, mind you!) piqued my interest as I bent down to pick it up. Since I began my digital music collection in earnest in 2005, I’ve amassed close to 14,000 tracks, most of which I’ve simply ripped from my CD collection or downloaded from podcasts. How much music is this, exactly? Over 36 continuous days. If I were to average one hour of listening per day, it would take me close to two and a half years to traverse through my entire collection without repeating a single track. While this is infinitely cool, it also presents a problem, as my “oldest” tracks were last heard as far back as May 2009. And this queue of old tracks keeps growing ever larger, as I keep amassing tracks but don’t really increase my average listening time per day. Quality songs are getting lost in the shuffle, so to speak. It’s easy to forget about them if they only come around once every two or three years. At the same time, new or unknown artists have it equally bad, as they have scant time to impress me with their music. My only hope? Weeding. I rarely weed, as I understand all too well my penchant for rediscovering lost music. Three of my favorite artists are releasing fresh new studio albums in the coming weeks, and I’m super-psyched! 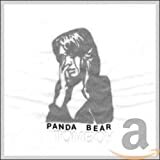 In 2007, Panda Bear released Person Pitch, an album as close to perfection as technically possible. His latest, Tomboy, is already exceeding my expectations, and I can’t wait to hear the album in its entirety. Oh wait: the album is streaming on NPR until April 12th. I saw the Foxes in early July 2008, when hype for the band was first building. Some claim that they’ve pigeon-holed themselves into a folksy, lush, baroque sound; if I concede that point, I still believe this works to their advantage. 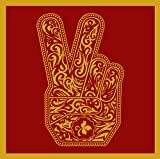 Right before the release of their debut album, an old school mate of mine, Josh Tillman, joined the band. While he’s been with Fleet Foxes for going on three years, Helplessness Blues will be his first recording with the band. MMJ appear to be caught in a Catch-22. They can’t exactly revisit the old sound, the reverb-laden At Dawn and It Still Moves, without coming across as overly nostalgic also-rans. At the same time, their last release, Evil Urges, somehow diverged simultaneously into both white-boy falsetto funk, slow steel-guitar numbers, and standard AOR pop-radio fare. MMJ has promised a “reset” of sorts for their latest, Circuital. Needless to say, the record will probably blow me away. R.E.M.’s “Nightswimming”. The song represents R.E.M. at their commercial (and arguably creative peak) and is right up there with “Fall on Me” and “Find the River” in the upper echelon of R.E.M. songs. Surfer Blood’s “Swim”. Bombastic power-pop surf rock with an ocean’s worth of reverb. “Swim” plays as the musical equivalent of an extreme off-roading Jeep. Do yourself a favor and buy this right now. A couple singles from Canadian folk-rock band Great Lake Swimmers, “Pulling on a Line” and “Your Rocky Spine.” Both are melodic, and exude a certain pop craftiness. Caribou’s “Odessa” from Swim. In the same vein as Hot Chip, “Odessa” is an organic-sounding dance track with a tight flute riff and a killer bass line. Someone needs to sample this and rap over the top. Pronto! Tyler Ramsey’s cover of Jackson Browne’s “These Days” from A Long Dream About Swimming Across the Sea. Frightened Rabbit’s “Swim Until You Can’t See Land”. Yeah, yet another quality Scottish rock band. I swear, I don’t do this on purpose.